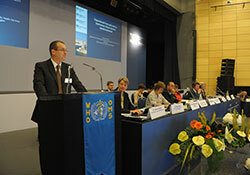 The sixty-second session of the WHO Regional Committee for Europe was held in Malta in September 2012, where both the European Action Plan (EAP) for Strengthening Public Health Capacities and Services and its accompanying resolution (EUR/RC62/R5) were adopted. These documents form a key pillar of the overarching new European policy framework for health and well-being, Health 2020. They present 10 essential public health operations (EPHOs) that countries can adapt and work on, together with WHO’s technical leadership and support, to assess and plan for stronger public health services and capacities. to ensure that WHO provides leadership and technical support and promotes innovative approaches. The overall vision of the EAP is to promote greater health and well-being in a sustainable way, while aiming to strengthen integrated public health services and reduce inequalities. The EAP builds on the resolution and forms a key pillar of Health 2020.The paper outlines in detail the 10 Essential Public Health Operations (EPHOs), which can be applied to capacity building, planning and delivery of services. It proposes 10 avenues of action related to the EPHOs, intended to assist Member States in the European Region, as well as the WHO Regional Office for Europe, in strengthening public health capacities and services in an equitable way across the whole Region. The EAP was endorsed by the Regional Committee at its sixty-second session (2012) and will run until 2020 in parallel with Health 2020. The resolution and EAP build on a solid evidence base, including a review of public health service and capacity assessments in 41 of the 53 Member States in the European Region; this will facilitate future prioritization and planning. Two additional studies accompany this: one on institutional models and funding structures, and the other on legal and policy tools and instruments that can both support the process and inform the delivery of EPHOs.